February 17, 2016, Keelung, Taiwan - Lian-Li Industrial Co. Ltd announces the PC-7N chassis. 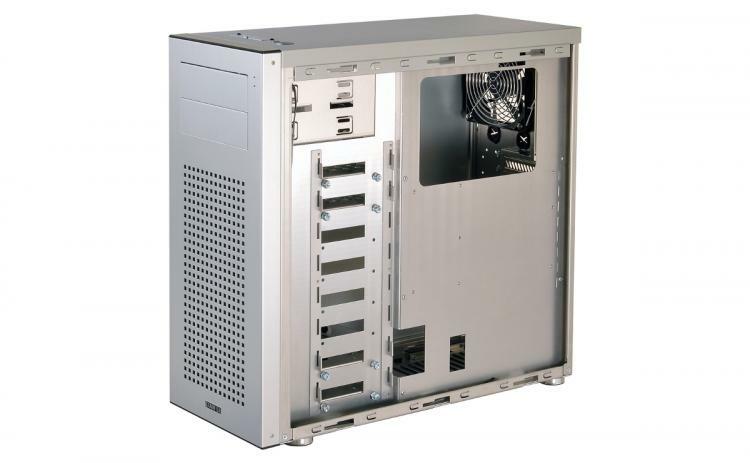 This mid-tower PC case may look familiar to long-time Lian Li customers, but internally it hosts important design updates. It includes an improved, customizable storage rack for drives, tool-less building features, and great clearances in a lightweight, minimal chassis. The PC-7N includes four drive trays fitted with vibration-dampening rubber washers. Each tray can be installed in one of eight slots near the front intake fans. Builders can easily remove, replace, or reposition each drive tray as needed. The drives are secured by a removable aluminum arm secured by thumbscrew. 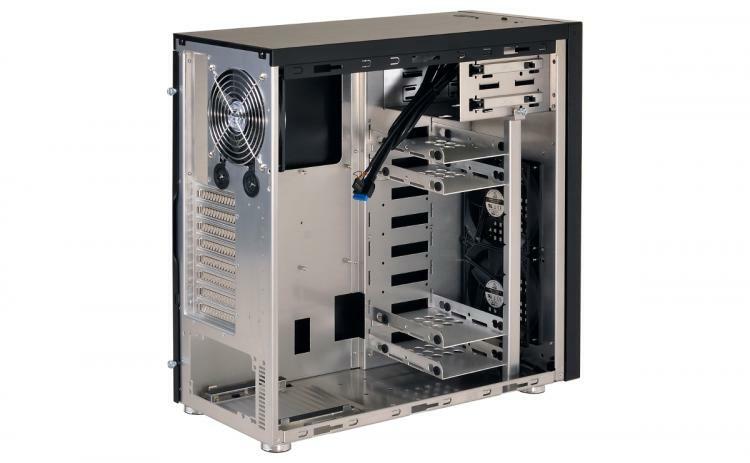 The PC-7N can mount robust CPU coolers as tall as 170mm. It includes two 120mm intake fans at the front panel, with another 120mm exhaust fan on the rear panel. The front panel fans can be removed to accommodate a radiator as large as 140mmx280mmx60mm. The rear 120mm fan includes grommets for AIO water cooling systems. The PC-7N mounts ATX or mATX motherboards. By repositioning the drive trays, this chassis can fit large VGA cards as long as 370mm. If blocked by drive trays, it could still fit cards as long as 250mm. It mounts high-wattage ATX PSUs up to a maximum 270mm in length. It includes eight expansion slots. Drives can be freely installed and repositioned without tools – thumbscrews secure the support arm, and slot-in without losing small screws. The two 5.25” bays are tool-less as well; the front panel and fan filters can be removed and cleaned without screws. There's 14mm of space behind the motherboard tray, and 27mm space behind the drive rack for convenient cable management. It stands on four adjustable aluminum feet, with power, HD audio ports, and two USB 3.0 ports positioned above the front panel with a closable cover. The PC-7N will be available in silver and black at the end of March for £84.90.